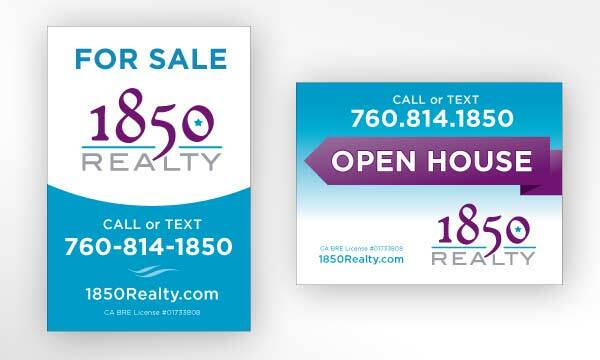 The Challenge: Wanting to stand out from traditional real estate brokerage firms, 1850 Realty had an idea for a badge style logo design, and also needed a business card and two signs designed. 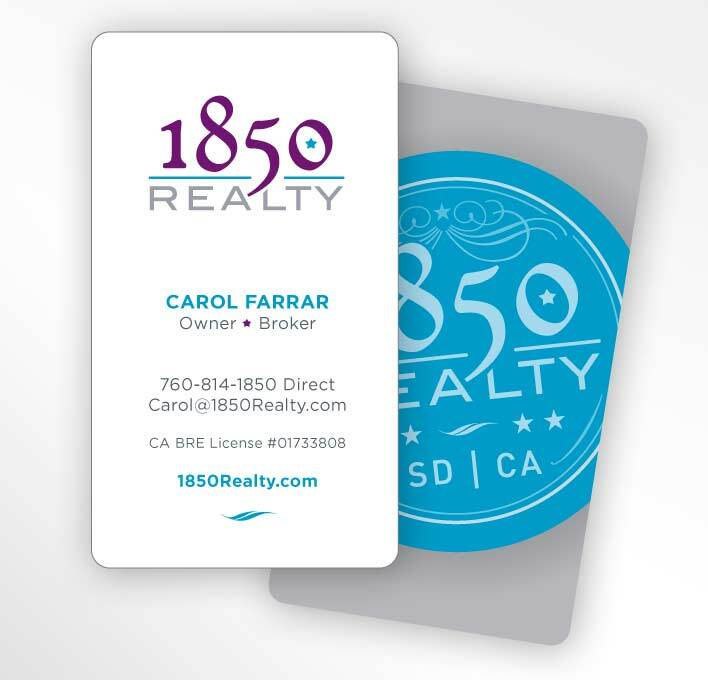 In the year 1850 the city of San Diego was incorporated and the state of California was granted statehood, so a historical style was desired to support the business. The Solution: We delivered a logotype mixing traditional and modern typefaces. 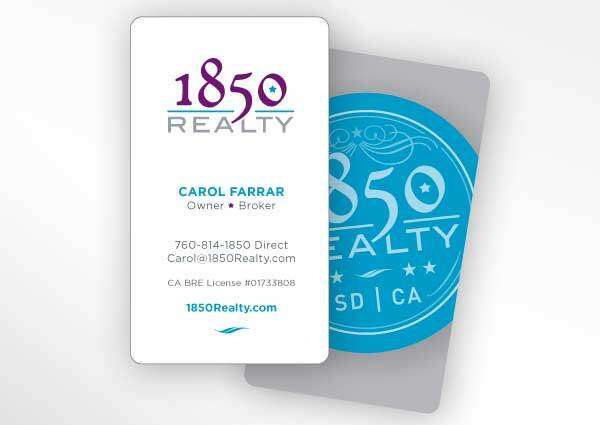 Cyan, bright purple and gray were used for all materials including multiple logo versions, a business card, two sign designs, and a postcard design.